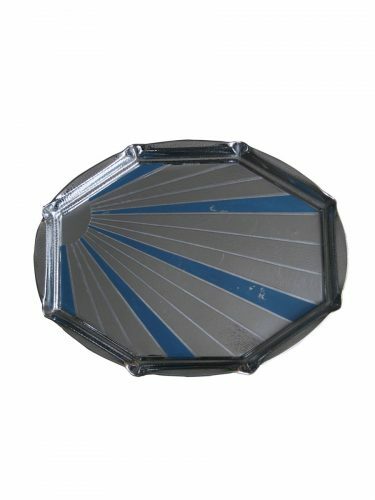 A really beautiful Modernist tapped chrome tray with blue enamel. This octagonal Art Deco tray measures 33 x 25 cm and the condition is good vintage, with a few marks on the blue enamel and scratches on the surface. It would grace any sideboard, a perfectly wonderful drinks tray.